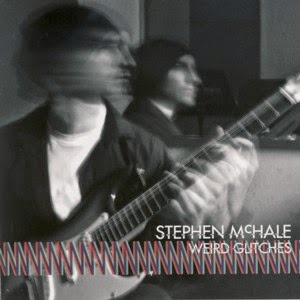 This is the debut album by Irish guitarist/composer Stephen McHale, currently residing in Valencia, like many other young European Jazz musicians who study an/or teach at the local branch of the Berklee School of Music. The album was recorded with fellow Berklee cohorts, like Polish keyboardist Piotr Orzechowski, Spanish keyboardist Ricardo Curto, Ecuadorian bassist Daniel Toledo, British drummer Joshua Wheatley and several others. The album presets eight tracks, seven of which are original compositions by McHale and one is a standard by Wayne Shorter, arranged by Toledo. From the very first note of this album it becomes immediately apparent that McHale is a "different" guitarist, with a superb individual sound and attitude, which supported by his outstanding compositions create a rare musical experience in a world filled by hordes of wannabe guitar stars. Throughout the album McHale demonstrates an astounding diversity and versatility, which spans everything from melodic lyricism, to avant-garde distortion, a truly unusual phenomenon. The seven original pieces are all fabulously crafted and fondly remind me of the compositions by John McLaughlin, who is my favorite guitar composer (and player of course), because he is "thinking" about guitar and its myriad of sounds when he composes music. This is about the highest compliment I can pay to the young McHale, hoping to hear more of his creations in the not too distant future. It is difficult to define this music stylistically; the electric guitar, keyboards and bass immediately suggest Jazz-Rock Fusion, but on the other hand there are not that many classic Fusion elements present here, so perhaps Electric Jazz is more appropriate. Regardless of the genre associations, this is simply some of the best music I have heard in quite a while in that particular aesthetic proximity and it is a blast to listen to from start to finish. It must be said that McHale gets a truly outstanding support by the team of musicians, who play on this album, many of which are already stars of their own, like Orzechowski, who is taking the Polish Jazz scene by storm and who gets my unvarying support for his work since his first steps. But all the other players herein are simply a dream team in every respect, and without them this album would not be as perfect as it is. To summarize, this is a most impressive and exhilarating debut release that deserves all the attention it can get, and one that surely will make many guitar enthusiasts extremely happy, if not immediately than surely in time, as it takes a while to absorb and appreciate the Artistry involved. Hats off!